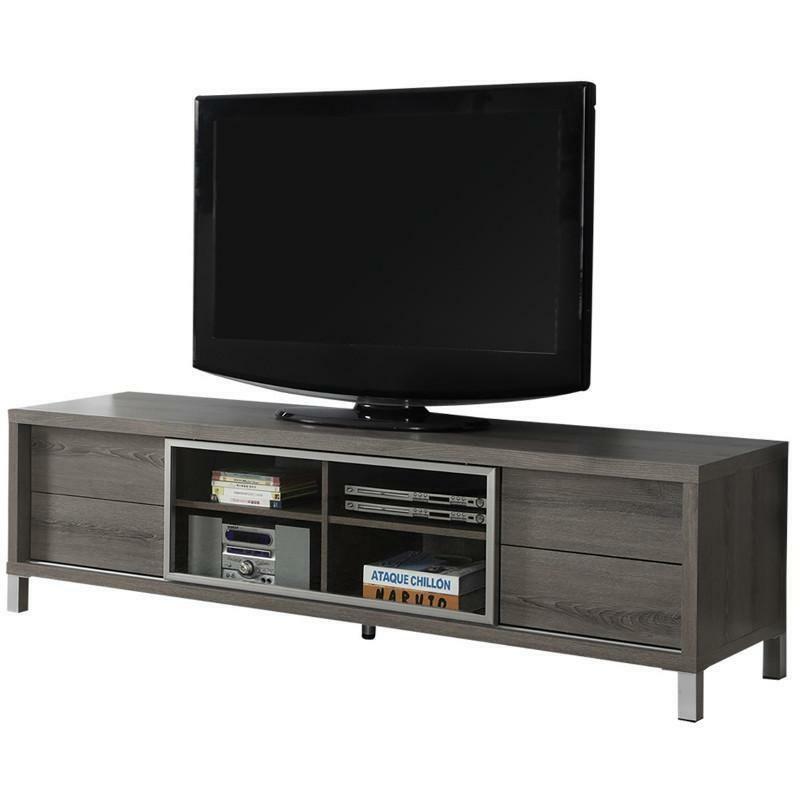 Create a European look to your living space with this contemporary TV console from Monarch Specialties. 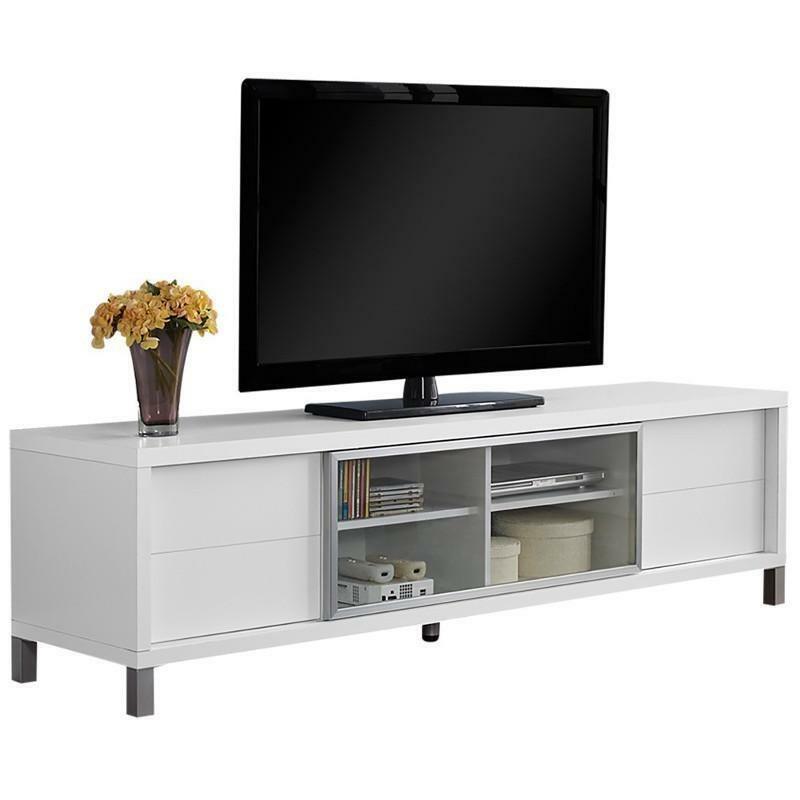 The thick paneled frame paired with a tempered glass center sliding door is supported by stylish sleek silver legs. 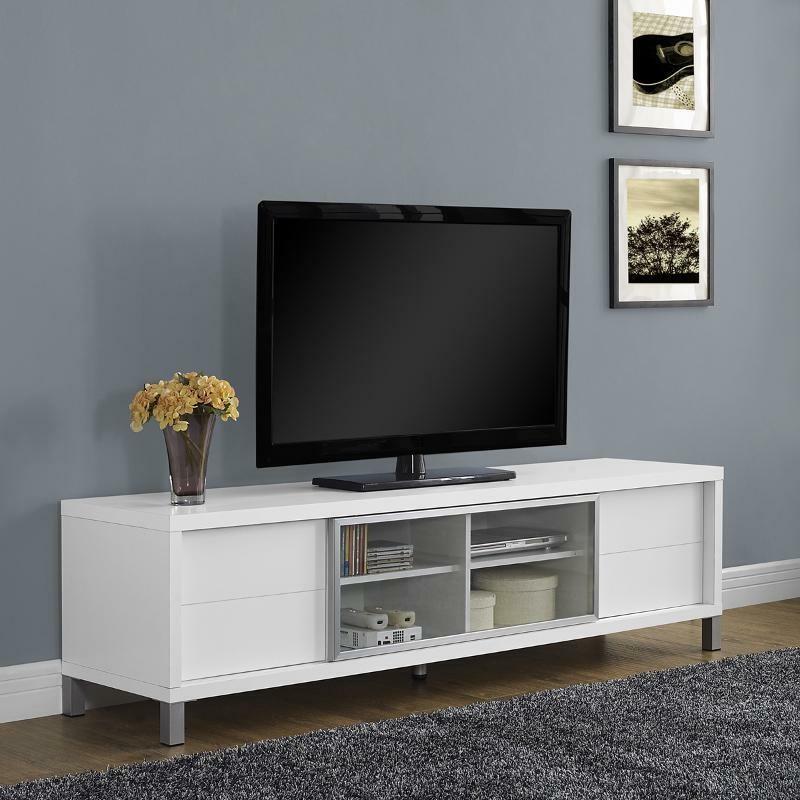 Featuring 4 storage drawers and 4 center shelves, this TV stand will meet all your media storage needs in style.